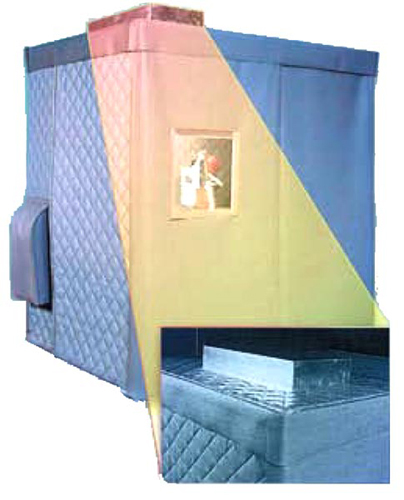 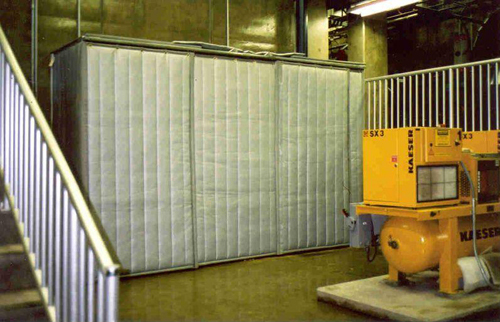 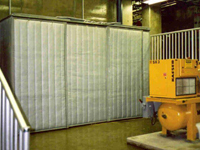 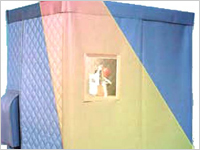 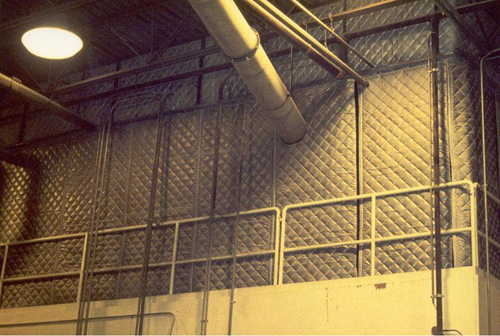 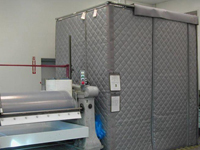 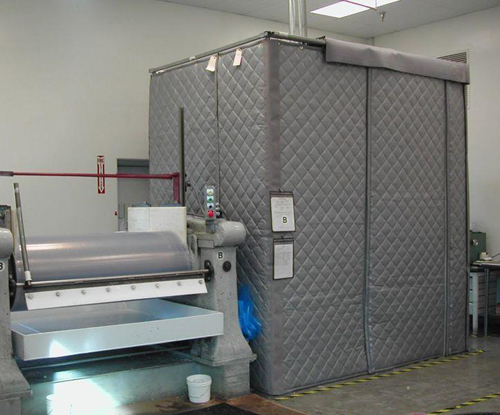 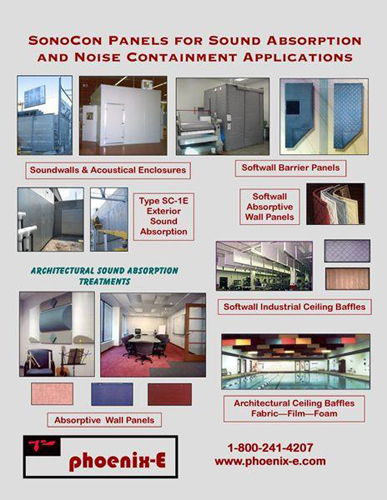 This three sided Portable Acoustical Enclosure with roof utilizing SonoCon™ Acoustical Curtain Panels was designed for approximately 20 dBA noise reduction. 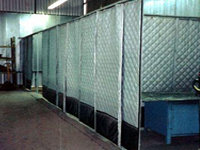 The entire enclosure is mounted on casters to allow complete accessibility to equipment. 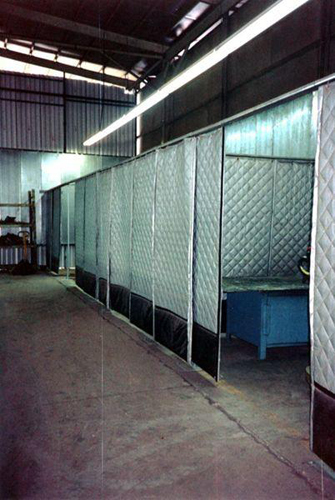 Clear vinyl view windows permit routine monitoring. 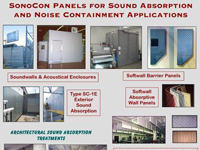 Rooftop view windows and a notch in the roof, as well as closure panels along the open sides allow this Portable SonoCon™ Acoustical Enclosure to fit snug to the machinery for maximum noise reduction while maintaining visibility and quick access. 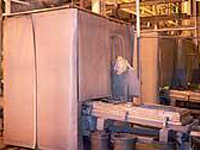 Quick access to machinery and equipment. 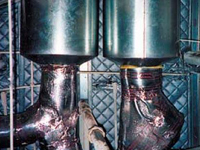 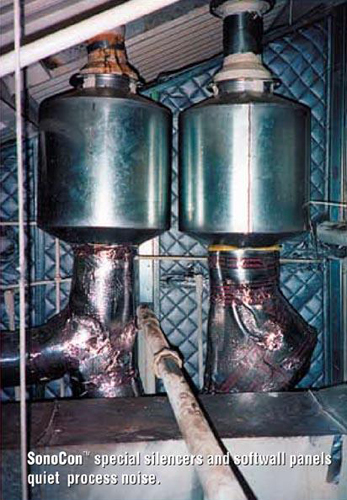 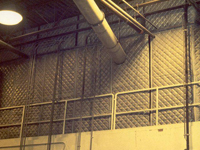 Fire safe and low smoke emissions per ASTM E84, Class A.